Phyla Vell is an artificially created offspring of Captain Marvel (Mar Vell). She is the sister of Genis Vell. Mar Vell has a relationship with a being called Elysius who is an artificial construct similar to the Eternals. Elysius then creates two artificial offspring based off of herself and Mar-Vell. These offspring are Phyla and Genis Vell. 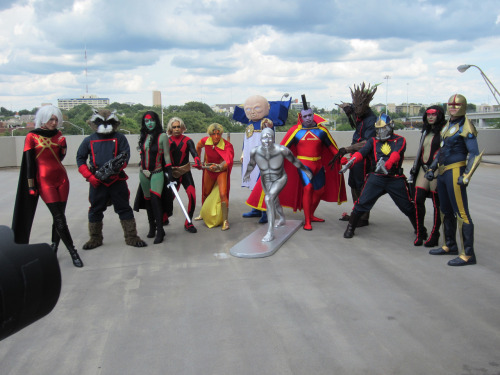 Phyla is a fairly new character created in 2003. She is a member of the team that stops Annilus in the Annihilation Wave Story, she also is a member of Guardians of the Galaxy in the 2008 where she takes on the powers of an avatar of Oblivion. There was some controversy concerning her character taking over the powers of Quasar, though I actually enjoyed that story and I think people that reread it may be surprised. Generally, I feel she is a character that has potential but has yet to find a place in the Marvel universe. In the next series she is killed trying to kill Warlock. She then is revealed to be alive, and escapes from Magus. She is then killed again in the next series by Thanos. She has various cosmic powers that include super strength, flight, cosmic awareness, energy absorption and firing energy blasts. At one point she holds Quasar's Quantom Bands and can use their powers. She gained new unknown powers by becoming the avatar of Oblivion of Oblivion. Though she has lost the Quantom Bands she still holds a Quantom Sword which is connected to the Quantom bands and can draw on their powers. Could Skye be Phyla Vell? It does seem that Skye has a paternal relationship with Coulson and this relationship could be explained if he is Mar Vell and she is Phyla Vell..
Phyla Vell would have been designated an 0-8-4 (Object of unknown origin) by shield if she was found as a baby. She would have Kree DNA and thus be in a better position to deal with the potentially Kree based serum GH 325. The Monsters attacking the Hunan village could have been Kree aliens, hunting for new genetic construct of Phyla. This is all possible but I think there are better options available. Abigail Brand and Mantis feel more plausible at this point. 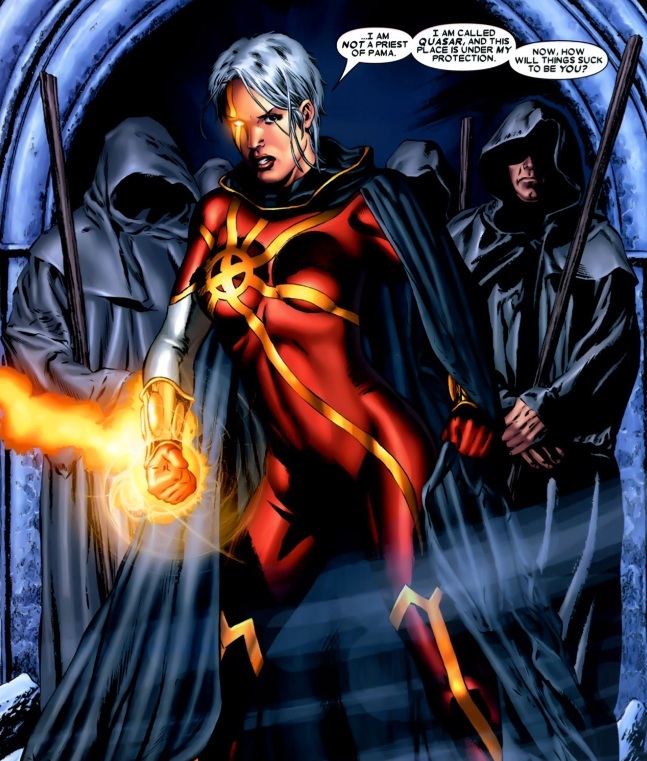 Phyla Vell is one of the few gay characters in the Marvel Universe. She has relationship with Moon Dragon who is Bi Sexual. 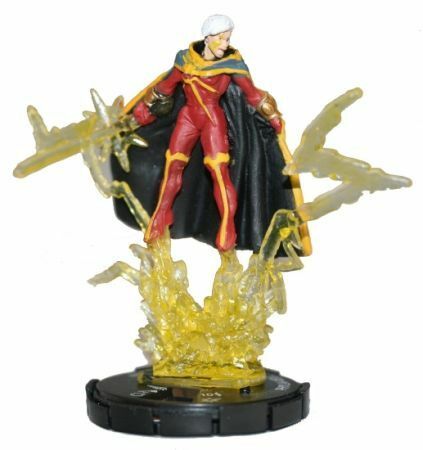 Phyla Vell is killed by Magus the evil alter ego of Adam Warlock. He teleports her sword out of her hands and uses it to kill her. However after this death she is revealed to be alive on his space ship. She is later then killed again by Thanos. She is still currently considered dead. Agents of Shield, Alien, Kree, Marvel, Marvel Agents of Shield, Phyla Vel, sword, Who is Phyla Vel?